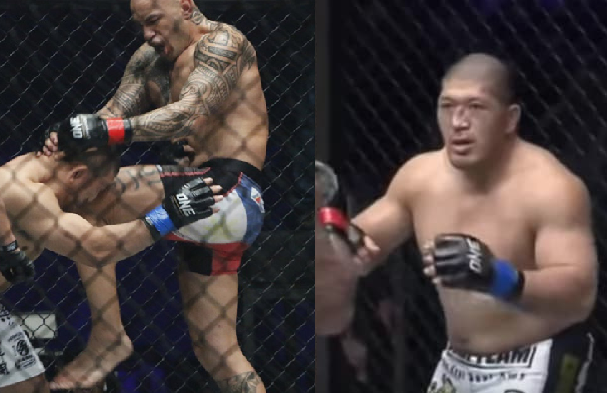 Brandon Vera breaks the nose of the Japanese challenger Hideki Sekeni in the heavyweight championship yesterday December 2, 2016 at Mall of Asia Arena, Philippines. Vera breaks the nose using his knee of the formerly undefeated "Shrek" fighter, It was an easy win by the Filipino and successfully defended his title for the 2nd time. Vera is the current ONE Championship heavyweight champion and he is looking forward to retaining it for the longer time.